Pinehurst Golf Course and Country Club - A 45-minute drive from downtown Bangkok and 15 minutes past Don Muang lies one of the most famous golf courses in Thailand. 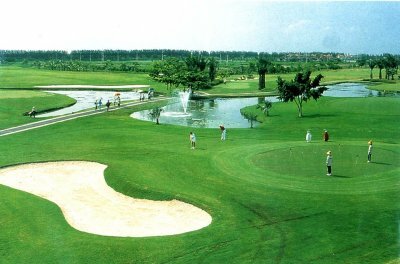 The 27 hole - South (the Meadow), North (the Lake) and West (Forest) - Yoshihira Aihara designed golf course was host to the 1994 Thailand Open and the 1992 Johnnie Walker Classic International Tournaments. Discover why more Romance Tour clients place their trust in Exotic Asian Wives each and every year than any other tour agency! Be a part of Exotic Asian Wives 's only live telephone discussion group as our panel answers your questions concerning Foreign brides, immigration issues, cultural differences and Foreign marriage services/Singles Tours. Our panel often includes John Adams, President of Exotic Asian Wives , Bud Patterson, a leading expert, past Singles Tour clients and real foreign ladies who have happily married American men just like you. You will be joined by up to 100 callers from around the world for an hour or more of informative, current, and important information for anyone considering meeting and marrying a foreign bride. It's free, informative, and fun, so mark it on your calendar and be sure to call in and join the conversation!